Narrator: Welcome to the Jesus Calling podcast. Today we speak with husband and wife actors Kevin and Sam Sorbo. 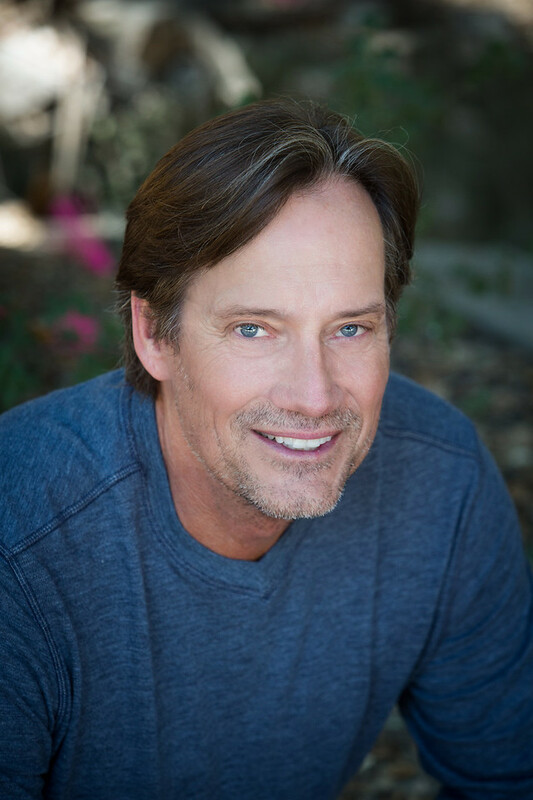 Kevin, who is now also an author, speaker, and director, came to fame by playing legendary hero Hercules on the long running series “Hercules: The Legendary Journeys.” He met his wife Sam, an actress, writer and radio show host, when she did a guest appearance on the show.. Together, they are passionate about spreading a positive message to others through the medium of film and sharing their faith along the way. 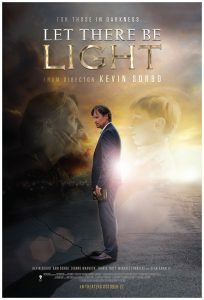 They discuss their newest film, “Let There Be Light,” which is now available on DVD. They also talk about their commitment to God and to each other through the good times, and the tough times. 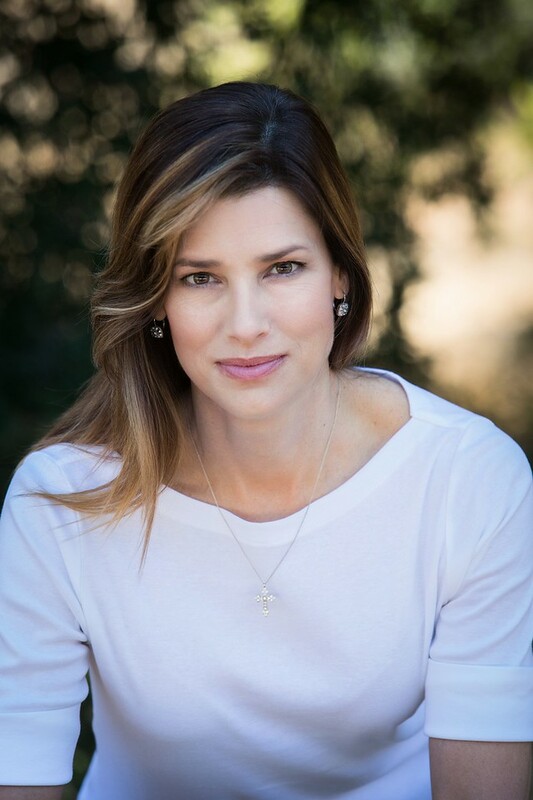 Sam: Hi, I’m Sam Sorbo. 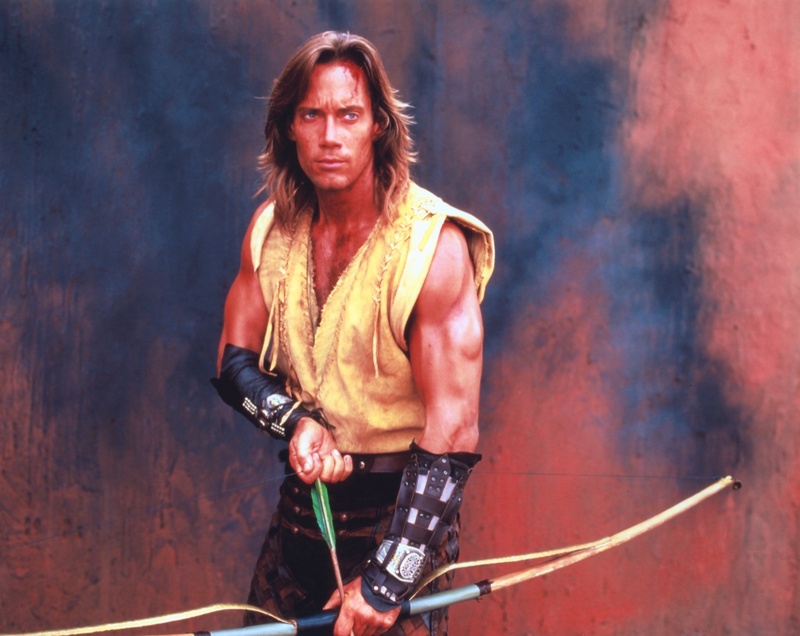 Kevin: And I am Kevin Sorbo. Hello. Sam: You probably know him from Hercules and also Andromeda and maybe many of his movies like God’s Not Dead and Let There Be Light. I grew up in a little town called Mound, Minnesota, which is about 25 miles west of Minneapolis on the beautiful shores of Lake Minnetonka. And we were home — in a little town of 7000 people — to Tonka toys—get it? Lake Minnetonka… Tonka toys. I’m the fourth of five kids. All five of us went to the same school system. My dad was a seventh and eighth grade math and biology teacher at the junior high school there, and I grew up loving sports and playing a lot of sports. I was a football, basketball, and baseball guy. I fell in love with golf at early age because my dad was off in the summers and worked for a golf course. Sam: That’s not my story. I grew up… we started in New Rochelle then we moved and then we moved again. We moved several times. I grew up in an atheist household and an extremely liberal one, so in my 20s, I went on a search for meaning, basically purpose. I’d become established in my craft and in my career, so I needed something more. I discovered that there was a God in the universe basically because there is order in the universe. Once I had determined that God existed, I went searching for Him in places of worship, and I ended up at a church which is where I became a Christian. Kevin: I was 11 years old when we went to the Guthrie Theater — which is a very famous Theater in Minneapolis. And I saw The Merchant of Venice. It was Shakespeare, and I was mesmerized. I didn’t understand what they were saying, because it was Shakespeare, but I was blown away by what I was watching on stage. An agent there said, “You should model too,” and I was like, “I don’t know.” But then they got me going, and I actually was a different kind of success of hers because I was more I was more of the jock guy, and I was so much bigger. I’m 6’3”, and all these other guys were 5’11” and 5’10”, and so I got all these athletic gigs… these really good ones. You know, I got to go to the Bahamas and do stuff there and go into the middle of desert, the Sahara Desert. And it was really interesting to me. I ended up living in Europe for three years, so it is quite a huge sidetrack to my life, but it wasn’t fulfilling because I knew what I wanted to do. So I really got sidetracked a lot when I thought at 22 years old: “I’m heading straight to L.A.” And I finally get out there when I was almost 27 years old at the time, so I started pursuing the career kind of late. But the commercial world was great to me. I did a lot of commercials and started getting guest spots and shows. And then, of course, along came Hercules, and what was going to just be five two-hour movies, turned into seven years of a one-hour TV show. We passed Baywatch as most watched TV show in the world, and then I went straight from there to Andromeda. I just sorta got lucky. I had a lot of good success and was very fortunate. So I went to Duke University, and I studied biomedical engineering. I took some time off while I was at Duke because I needed to take time off because it was so stressful. And I ended up going over to Europe and modeling for a year, and I was very successful with that. It also opened up the door to becoming an actor. So eventually that’s what I did. I modeled for several years, and then I went into acting and found success and got cast on a little show called Hercules — which at the time was the number one show in the world — and went down to New Zealand, and. well, I played a princess. That’s how we met. So that’s kind of how that first date went which is pretty pretty funny. Kevin: It was interesting what happened with Hercules. I knew by the third movie we had something special. This was a show… it certainly wasn’t a faith-based series, but it was a series that had a lot of positive messages in there. Hercules, the character I played, was a really good role model. We reached 176 countries. It’s still in 60 countries today. It’s on Netflix. It’s on a couple cable outlets. It’s crazy how it just keeps going and going and going, and there’s a whole new generation of kids that are watching it now. A lot them probably get into it from their parents that are now in their 30s. You know, I hate to admit it, but we shot the show from 1993 to the end of 1999. But the letters I would get that would come in from orphanages and from people that had rough family lives saying that I was their role model and that I was their make-believe father. Sam: That your character taught them not to give up and to be good and not to be weak. Kevin: Yeah, the character was “Don’t fight first.” And there was just a lot of strong, moral messages in there like to stick by your values and stick by what you believe is good and right. And to have kids want to do that… I had three kids come down for Make-A-Wish, and every time I broke down. I remember the first time, it was just brutal for me because I’m just going, “Why are you picking me?” I didn’t say that to the kid, of course, but, you know, of all the things in the world, I’m your wish? It was overwhelming to me, and it was an honor at the same time. But I guess I didn’t feel worthy of it. Sam: I don’t think he even realized the impact that his show had. That’s why, you know, a Make-A-Wish kid comes down there, and he’s not seeing the the broad spectrum, really. So that was that was sort of an eye-opening experience for both of us, really. To see… what did the TV Guide guy say? Kevin: He said, “That was that was the one show his family watches together.” And this came from an editor from the TV Guide who sent me a letter, and he also wrote it in the TV Guide which I thought was pretty amazing. Kevin: It’s such a powerful medium: television, movies, all that. We see it in our culture today. We see it with the secular message that Hollywood puts out there on so many of its TV shows and movies, and it does affect people and changes people. We don’t allow them to let them think for themselves in a way. So, to me, it’s like I want to send out messages that have a positive and uplifting and moralistic value. Sam: One thing I’ll say is before we got married, in my head, I was trying to figure out the balance between my career — which was going very well — I guest-starred for half a season on Chicago Hope, which was a very big national network show, and I was booking more and more work. And right before I met Kevin… I had already determined I wanted to be married. I wanted to get married. That’s what I wanted, and I realized there was going to have to be a compromise. I said a prayer to God. I said, “Can you… can you at least tell me what the compromise is? I understand there’s a compromise. What is it going to be?” And then I met Kevin, and he was perfect. He was, there was no doubt, he was perfect for me. I said, “They want me to fly to New York tomorrow for three days. Would you like me to not go?” Which put him in the unenviable position of having to admit that he needed me. I was faced with a binary choice, really: the love of my life or my career. And, literally, in the intensive care room, I just looked up at the heavens, and I said, “Oh, that’s easy. 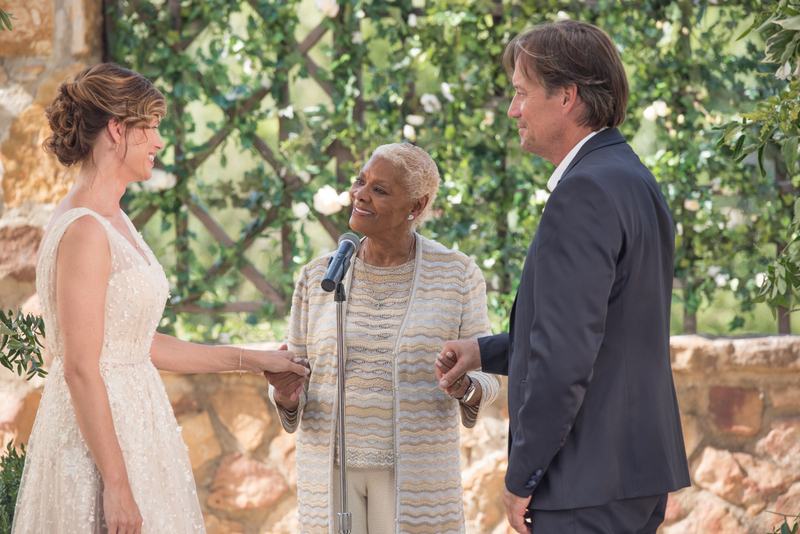 Done.” And I chose my marriage and my husband and that whole thing over my career. Kevin: We were at the end of season five on the series. And Sam and I had known each other for a little over a year by this point. And I was having all kinds of problems in my left arm. I couldn’t feel what was going on. I was doing most of my own stunts and working 14 hour days and lifting weights — anywhere from an hour and a half to two hours every single day on top of the 14-hour day on set. And I was, you know, getting bumps and bruises and cuts and sprains or whatever by doing all these stunts because we had three fight scenes every single episode, and my ego wanted me to do the fights. And I wanted to do them. So I blew it off. I blew off this pain in my shoulder and this numbness in my fingers. I finally went to see a doctor who found a lump way up here in my left shoulder, in my left clavicle. He said that he wanted to do a biopsy on it, and that kind of freaked me out. I said, “Biopsy? I’m Hercules, and I am a healthy guy. C’mon. Leave me alone.” And then I went to see the chiropractor. The voice said again with more urgency: “Don’t let him crack your neck.” While I’m arguing with this voice, he cracks my neck, and that lump ended up being an aneurysm that had been spitting out blood clots into my left arm. That crack of the neck — because it was so close up to the artery feeding the brain — threw three clots into my brain, and I guess I’m lucky where they went. They went to my balance center and vision. Actually, there was a fourth one that went to my speech. She heard my voice, and she rushed me to the hospital. Kevin: Yeah, you heard the way I was talking. Sam: I saw him stroke right in front of me. Kevin: I couldn’t do the next movie I’d line up for myself because Universal was gearing me up to become the next new action guy to fill in for, you know, where Arnold Schwarzenegger was tailing off. So it was it was brutal for me to go through this and have it happened to me. And you go through that: “Why, God? Why? Why is this happening to me?” And we wrestled a lot, you know? And I prayed a lot. Yet, I just I remember one night crawling myself up the top of the apartment complex that we were at and looking at the moon, and I wept. I felt like somebody had passed away, somebody had died, and it was a long journey for me. Sam says, “You had faith, but you never needed it until now.” Now I understand what she said. It was years later — because it took me three years to fully recover. It was a long road, and it was a tough road. And there were a lot of prayers in there. There was a lot of frustration. Sam: He was in intensive care. They had discovered the aneurysm, and they were treating it with the angio going from his groin up into his shoulder. They had just brought him out of the operating room, I guess. Maybe they had just inserted it or they just went to look at it again. That was probably it. And I’m not entirely sure — he might have reacted to the dye, or it might have just been what we eventually learned were panic and anxiety attacks. But he kind of went into sort of a shock, and he started shivering uncontrollably. The entire bed was shaking. If he jerked any which way — he wasn’t allowed to move in the bed. He wasn’t allowed to sit up for the days that he was in the intensive care — and so he was shivering uncontrollably, and if something came loose or if he cut himself in any way or the tube got pulled, he would bleed out. He would just bleed out and die. So I ran down to the to the pay phones, and I called his GP who had who had been supervising his care, and I said, “This is what just happened.” And the GP said, “Sam, there’s nothing I can do from here.” So I just started praying, and I walked back to the intensive care unit, kind of trepidatious, wondering what I was going to find when I got back there, and they had resolved it. They told me that they had just given him some Benadryl which I’m not sure if I heard them correctly or if it was that simple or what, but they had resolved it, and he was okay. I went back to New Zealand four months after the strokes, believe it or not, and I went from a 12 to 14 workday to a one-hour day. They wanted to keep the show going. It was a big cash cow for the studio, and quite frankly, for me, I needed it. I needed to find some kind of hope in my life. I needed to find that light at the end of a very long and dark tunnel. I needed to feel like, “Okay, I’m going to beat this thing. I’m not going to let this thing destroy me.” And it gave me hope, and I think we’re all searching for that. I had to pray a lot about why this happened to me. And, eventually, I did find the reasons behind it because it wasn’t that I was a bad person, and I was doing evil work. 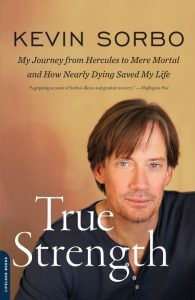 I actually thought Hercules, as I mentioned earlier, always had really good messages and good values to it. But it opened a door for me that I never thought I’d go down. It opened a couple of doors for me that I thought I’d never go down. I never thought I’d be doing what I’m doing with these speaking events and the movies I’m doing that, and I love it. That was really a God thing. There’s no question. Kevin: He was the showrunner on Highway to Heaven. Kevin: Because he’s a big time writer. Sam: Yeah, he’s like, “No, I don’t need you and your silly ideas. But when he heard the idea, he jumped in with both feet because he recognized that we would be writing a script about the human condition and about wrestling with faith, which is something that everybody does. Kevin: Yeah, because it’s never happened in Hollywood before where people cast their friends or family members. Kevin: I know, but they’ve been taking classes for three years, and they’re they’re good actors. So we auditioned them. Sam: We auditioned them, and they actually blew us away. But then the movie came out this past fall. Sam: Yep. October 27. Last fall. Kevin: So we’re a small independent film, and we started with like 380 screens or so and worked our way to 800 screens in the first two weeks out up against Thor and up against Star Wars. We were the number two per-screen-average movie. Once again, reinforcing the fact that a lot of people out there want to see movies that have a solid message, values, characters that they can relate to, because the movie will make you cry. It will make you laugh; it will make you cheer. It’s a wonderful, wonderful movie. And now it just came out on DVD, and you can get it at Walmart, or Amazon as well. I mean, it’s out there, and it’s been amazing. Sam: The movie is about basically bringing people together in understanding rather than tearing people apart, which seems to be a very strong message in our media right now — this divisiveness that has crept into our culture. Then, not only that, they would go and find us on the web and email either Kevin or me or the movie’s website, lettherebelightmovie.com, to tell us how profoundly affected they were and how uplifted they were. Basically, the idea was to give people hope. I think that’s really the underlying message of the movie, and that’s what it accomplished. We’re very proud of it. Kevin: We do want to get these movies out to the people, but we need your help to get the word out there. We need pastors and churches to support these movies. Sam: We need messaging that uplifts people, that gives them hope, and that makes them root for a good guy to inspire themselves to become better people. Isn’t that what our culture should want? Isn’t that what we should want from our society is for people to do good for others? Kevin: I think people need to start realizing that God is a pretty important element to happiness in your life and to stability and to being calm in your life and not being so impatient and angry. Sam: I think we need to incorporate God into our everyday lives. You know, we talk about people who go to church on Sunday, and then the rest of the week, it almost doesn’t count. The church should be the culture. We should bring our faith back into the culture. I believe that very strongly and partly because the culture has become so anti-faith and what that does is that removes hope. That is what that does. And we need hope again, and we have hope. The good news is there is hope. There’s hope in the cross. Narrator: We’ll be back with the second half of our podcast after this brief message from Audible. 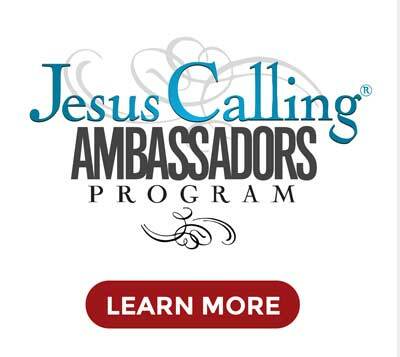 Audible Message: As a special offering to you, the listeners of the Jesus Calling Podcast, Audible is offering a free audiobook download with a free 30-day trial to give you the opportunity to check out their service. Find your favorite Sarah Young titles, including Jesus Calling and Jesus Always in an audiobook version, and get it for free by trying Audible.com. 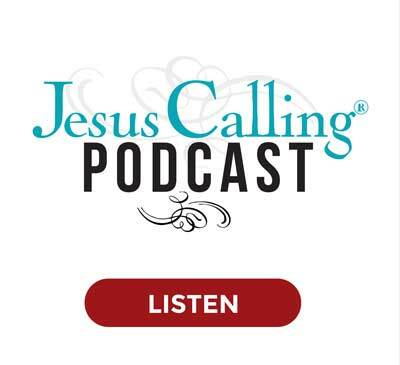 Check out a small sample of the Jesus Calling audiobook featured at the end of this podcast. To download an entire free audiobook today, go to audibletrial.com/jesuscalling. Again, that’s audibiletrial.com/jesuscalling for your full, free audiobook. Now, onto the second half of our show. 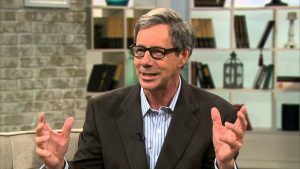 Narration: Robert J. Morgan is the teaching pastor of The Donelson Fellowship in Nashville, Tennessee, where he has served for 35 years. He is a best-selling and Gold-Medallion winning writer with more than 35 books in print and more than 4 million copies in circulation in multiple languages. 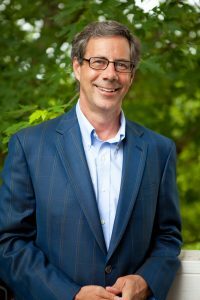 He is a writer for Dr. David Jeremiah and Turning Points Magazine and has many articles published in other leading Christian periodicals. Robert shares a little bit about his early life and how he was inspired by Reverend Billy Graham to follow the road in his own life of preaching the Gospel and teaching the truths of the Bible to as many people as he could. My name is Robert J. Morgan, and I live here in Nashville. I grew up in East Tennessee in the mountains, in the Appalachians, and moved here in 1980 to be the senior pastor of a church. And now I’m the teaching pastor there and also have the opportunity of writing and speaking and ministering in a variety of ways. 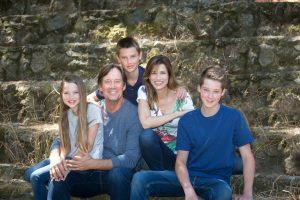 I’m also a caregiver to my wife, Katrina, who is battling an illness, and we have a bunch of grandchildren we love. And so our lives are very busy. I grew up in a wonderful family. It was my dad and mom who are both schoolteachers. I was the oldest, and my sister Ann was born six years after I was. Because my parents were school teachers, they had the summers off, and we traveled a great deal. My father loved to travel. He grew up way up on the top of a mountain where, when he was a young person, he never traveled anywhere except maybe he walked to school and back. So, when he got old enough to travel, he wanted to see the world. He took us with him, and we just had a very wonderful family. We attended a great church in East Tennessee. I grew up in a very Christian environment with parents who love the Lord and read their Bibles and taught me the Bible. So I have sort of an idyllic childhood growing up in the 1950s and early 1960s in a small little town in middle of the Appalachians and the mountains of east Tennessee on the western North Carolina border. One day when I was in college, my sophomore year, the young man across the hall said, “Why don’t you go with me to Asheville next weekend? I want to introduce you to a woman who has meant a lot to me.” So I said, “Alright.” And we got in the car, and he drove me to Billy Graham’s house. Billy was gone, but Ruth was there. And we spent a wonderful weekend with Ruth. I learned so much, not only that weekend, but on subsequent occasions. And then when I finished at Wheaton, I spent some time working with Dr. Graham and the Crusades. Now, I didn’t work personally with him. I was a gopher. You know, I just did whatever the crusade officials needed to have done. There were a lot of airport runs and a lot of setting up meetings and a lot of making Photostats and being at the crusade every night, and I remember one occasion I was on the platform because one of the guests who had flown in for the crusade, they were on the front row beside Dr. Graham, and they had to be taken to the airport. So they sat me up there on the platform near Dr. Graham, and I just thought, “This is the greatest thing in the world.” And I watched him there as he preached. I watched him from the back, which I’d never done. I had always seen him with his finger in the camera, and I remember when he finished the sermon. I was taking the man that I was escorting down the steps. Dr. Graham came down the steps, and he looked at me, and he shook my hand, and it was trembling. By the time he got to the end of the stairs, he nearly collapsed. They had to help him, and he was a relatively young man back then. But the exhaustion of preaching in that stadium was almost more than a human being could do. And they helped him in the car, and he drove away. But he was back the next night as good as ever. I learned so much through that experience, and I thought for a while I wanted to stay with this organization. But then the Lord just let me know that he wanted me in the pastorate and that I wouldn’t be happy doing anything except pastoring. 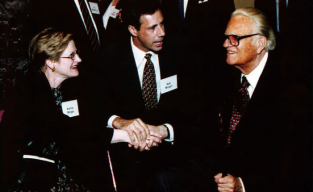 So I left the Billy Graham Association and went into the pastorate, but I have always cherished those times when I had that opportunity. I graduated from Wheaton Graduate School. And I thought because I was in the mountains and there was like 10,000 churches up in those mountains, that one of them would need a pastor or would want me to be the pastor. So I graduated from Wheaton, and I started looking for a church to pastor before I got married in August, and no one invited me. No one wanted me. So when Katrina and I were married at the end of August, I ended up getting a job at J.C. Penney’s and trying to support her that way. And we looked for a place to serve. For a solid year, I looked for churches to pastor, and there were 12 different churches that were interested in me. Every one of them turned me down. But on our first wedding anniversary, we began pastoring a little church in Greeneville, Tennessee out in the country. It was a little stone church, and we were there for two and a half years. It was a wonderful experience. The people were so gracious and supportive, and I just did my best to preach and take care of them, and they did their best to take care of us. It was just a very good experience. 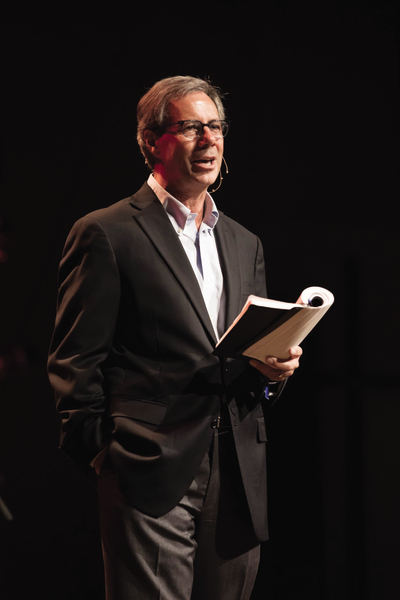 Not every pastor begins with a good experience, but I really did. Then in 1980, we moved here to Nashville to the church that I’ve been at now for 38 years. We just worked very hard. It was a church of about a hundred, and over the years, it grew from about 100 to about 1,000. It took a lot of work. I didn’t mind working. The Bible says in Colossians 3: “Whatever you do, do it with all your heart, enthusiastically, as unto the Lord.” And that was sort of my work ethic, so I would preach expository messages based on passages of the Bible as we came to them because I felt like if you feed people who are in the pews with Biblical truth then they’ll grow and you’ll have a better church. And I visited the sick, and I went to the homes where people were who had problems. And we just really worked. We raised our three girls and really have had, overall, a very good experience. In the pastorate, there are incredible stresses, and how we do church has changed a lot in these 40 years. It can be a struggle keeping up with the changes that are taking place in church life and in society. But, overall, we have had a wonderful experience, and we still are at the same church that we came to in 1980. The people love us, and we love them, and so we’re very grateful for that. My wife Katrina was diagnosed with Multiple Sclerosis twenty-seven years ago. For many years, it wasn’t truly debilitating. It was a little aggravating. She was on a cane, or she couldn’t always walk real fast. But then she moved to a walker and then to a wheelchair. In the last few years, it’s gotten significantly worse, and this year, we have had additional medical problems. She had a ruptured stomach ulcer which created a hospitalization which then has complications with her M.S. Then she developed infections, and we’ve had a very difficult time. Katrina and I wrote a book called The Strength You Need on the great strength passages of the Bible because we find that we both need daily strength. And the last few weeks have been exceedingly difficult, but we just love each other. We trust the Lord. I try to joke a lot about it and keep the spirit light because she gets discouraged or depressed. I don’t want to be flippant, but we try to keep a healthy cheerfulness in our home, and we just take it one day at a time. I wasn’t sure a month ago that she was going to make it through a surgery, and so we just prayed together. I said, “Now, Katrina, if you get to heaven before I do, there are one or two things I really need for you to ask the Lord about personally, because I need help with a couple of things. So you remember that when you get to heaven.” It was that kind of frank conversation, and she said, “I will.” And we prayed, and she went on into the intensive care. She was not breathing well, but she pulled through that. There are enormous physical and emotional stresses to caregiving, but everyone, at some time or another, will either be a caregiver or a care receiver. And what I would say is that the principles that I’ve tried to write about with The Strength You Need and in my book Worry Less, Live More on the peace that God gives and Reclaiming the Lost Art of Biblical Meditation. These books have, in large measure, come out of our own personal struggles as we have found the truthfulness of the scripture and the faithfulness of God to work for us even on the most difficult days. In my own travels and life and in my marriage and the ups and downs that I’ve had personally — because I battle anxiety and worry and sometimes discouragement and depression like everybody else — nothing has helped me more than Scripture memory and biblical meditation. I learned to memorize Bible verses when I was a child in the public schools, which we could do back in the 1960s in the mountains, but also in Sunday School. And all through the years, I’ve tried to continue to memorize Scripture… just a verse or a passage here and there. Right now, I’m working on a passage in the book of Colossians. But when you have Scripture in your mind, it becomes portable Bible study. You can think about it wherever you are. And Americans right now, particularly Christians in America, are afraid of the concept of meditation because it’s been hijacked by Eastern religions and by the transcendentalists, but it was God’s idea to begin with. The Bible says, “This book of the Word shall not depart out of your mouth, but you shall meditate on it day and night that you may observe to do according to all that is written therein, for then you will make your way successful and then you will be prosperous.” And all through the Bible it talks about the importance of being transformed by the renewing of our mind and that happens as we meditate on Scripture. So out of my study of this whole subject, I wrote Reclaiming the Lost Art of Biblical Meditation. I want to teach people how to let the Bible circulate through their brains like water through a fountain or like oil through a machine or like blood through a heart. We’ve got to constantly be letting the word of God meditate and circulate through our minds all the time. There is something about that that accelerates the transformation process and gives us a level of peace that we don’t have anywhere else. The Bible says, “I will keep him in perfect peace whose mind is stayed on Thee.” And in Romans 8 it says that “the mind controlled by the flesh is death and destruction, but the mind controlled by the Spirit is life and peace.” So I’ll take a passage that I have memorized — now you don’t have to memorize the Bible to meditate on it. You just open the Bible and read it and think about it and ponder it — but when you also have parts of it memorized in your mind, then you can think about it when you’re shower, when you’re bicycling, when you’re walking or running. Many times, I’ll awaken in the night, and you know when you wake up in the middle of the night, often you begin to worry. But I train my mind, now, the moment I wake up to begin quoting Scripture. Just last night I woke up in the middle of the night, and I was alarmed about something, but I started quoting Psalm 21. Now, when you quote that at three o’clock in the morning, you are more likely to go to sleep because there is something about the power of Scripture that gives us calmness and a sense of God’s presence. And so these are the things that I’ve tried to describe in very practical terms and in biblical terms in this book Reclaiming the Lost Art of Biblical Meditation. I want to reclaim biblical meditation for God’s people. It is God’s idea to begin with, and this is our greatest tool for growing and arriving at the peace and the joy and the sense of God’s presence that He wants us to have. All through these years, the Lord has opened doors for me to do that through preaching and teaching and speaking at conferences, and churches, and colleges, and at corporate events. And I don’t know what it is. I can’t explain it — but thinking that I’m going to get on a plane or get in the car and go, and I have the opportunity of sharing the greatest set of messages in the world, which are the truths of the Bible with a group of people. I don’t do it as well as Billy Graham. I don’t do it as well as most people, but I love doing it. I’ve had the opportunity of doing it in many parts of the world. The Bible is given to us not just to study academically — although the study of the Bible is the most fascinating thing we can do — but to personalize it and to think of it not just as a book but as a letter from God to us. It is a personal communication from Him. So reading the Bible is a relational thing. It’s not just a routine. It’s not just a ritual. When we pray, we’re talking to God. And when we read and meditate on His Word, He’s thinking of us and communicating to us with authoritative power. So I think what Sarah Young has done here in Jesus Calling is the meditation and the personalization of Scripture. She has taken some precious passages, and she has meditated through them until they have spoken to her, and she has written down the significance of that message. That’s the power of this little meditation book. 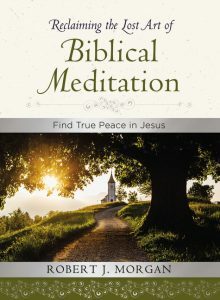 It is a book that enables us to meditate our way through the Scriptures of God and through the words that Jesus said. And as we meditate on His words, we are strengthened by his voice, and we develop a sense of his presence. And that reminds me so much of Psalm 46. “God is our refuge and strength. A very present help in trouble.” And that’s a message I think we need every single day. Narration: To read Pastor Morgan’s tribute to Rev. Billy Graham, please visit the pastor’s blog at RobertJMorgan.com. You can get his book, Reclaiming the Lost Art of Biblical Meditation, everywhere books are sold. 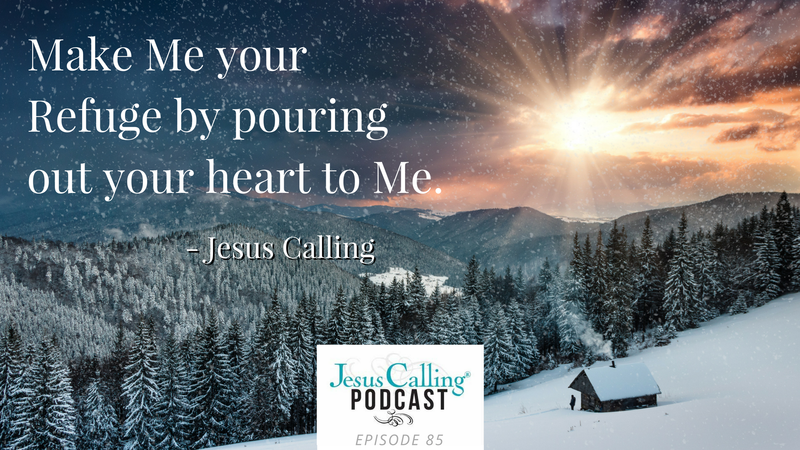 Narrator: Next time on the Jesus Calling Podcast, we visit with best-selling author and speaker Ann Voskamp. Ann talks a little about the times in life that catch us by surprise–and how important it is to remember God’s goodness, even when it feels like our circumstances are difficult. Ann Voskamp: Our scars, our brokenness is what we sometimes want to hide and mask, but those scars identify us with Jesus. Those scars are courage, and those scars are our “brave.” And we don’t hide them; we share them because it gives Christ all the glory because by His wounds, we are healed. New Call to Action: Do you love hearing great stories of faith each week via the Jesus Calling podcast? We want to hear from you. If you haven’t already subscribed to the Jesus Calling podcast, visit the Jesus Calling page at iTunes.com hit the subscribe button. While you are there, we’d love for you to leave us a review and tell us how you feel about the show and what future guests you’d like to see. Your reviews and subscriptions help us share these stories of faith to more people who need hope and encouragement of Jesus Calling. If you have your own story to share, we’d love to hear from you. Visit JesusCalling.com to share your story today.